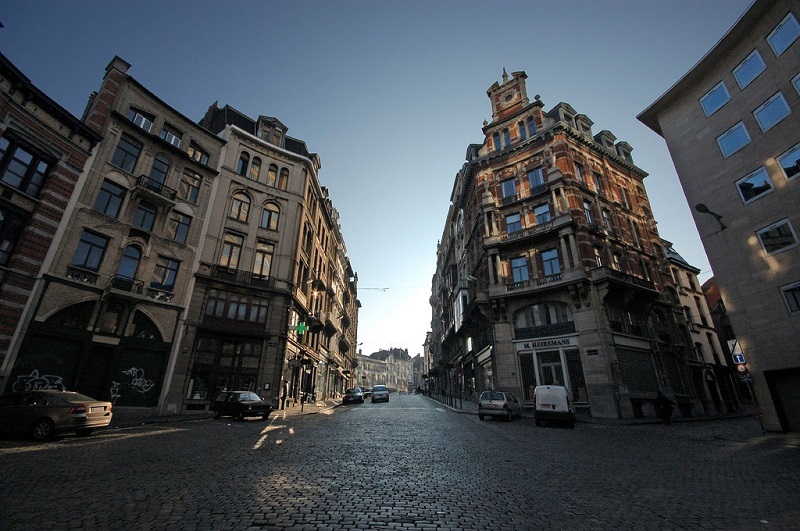 Where to find accommodation in Brussels during your stay? Neighbourhood by neighbourhood, here are the best places to stay in the Belgian capital! You won’t have too much trouble finding accommodation in Brussels, the “capital of the European Union, beer, and fries”. Brussels Capital is packed with such a diverse range of accommodation options, you’ll actually be spoilt for choice when visiting the region. Located in the centre of Europe, the capital of Belgium is a travellers’ paradise. Visitors come here to experience its lively atmosphere, immerse themselves in the city’s rich heritage blending history, culture, and gastronomy, and of course, to discover the charms of Belgian beer. The name Brussels is used to refer simultaneously to the Brussels-Capital region, the City of Brussels and the European Union institutions which are established here. Though the city of Brussels as such is populated by 177,863 inhabitants, the Brussels-Capital agglomeration – Belgium’s economic hub – includes nineteen municipalities and a total population of 1,197,732 inhabitants (2017) over 161 km². Brussels offers a wide variety of available accommodation options, from guesthouses and hostels, cheap hotels, to more refined hotels, or private accommodation for rent (via Airbnb, Wimdu)… Here is a presentation to help you find which neighbourhood to stay in Brussels. 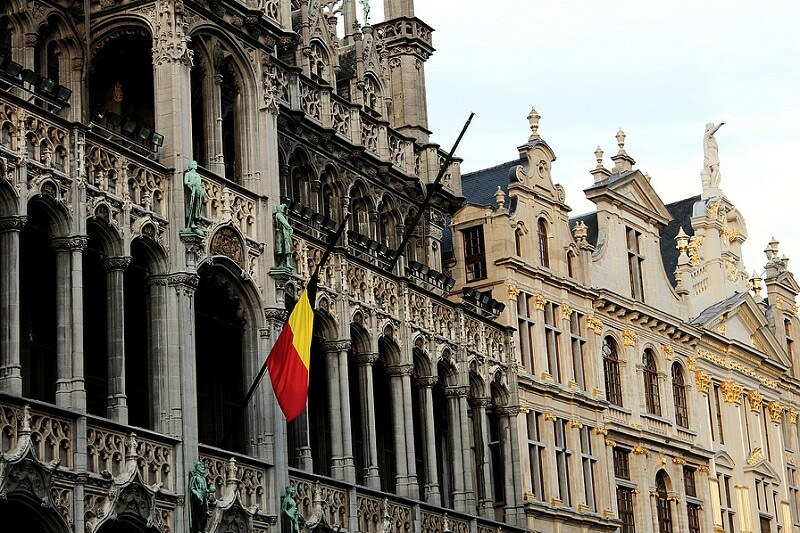 Located between Place Rogier, the Palais de la Bourse (the Belgian Stock Exchange) and Place Anneessens, the famous facades of the Grand-Place – Brussels’ central square – are an absolute must-see. The Grand Place is known worldwide for its stunning ornaments. Rated as one of the most beautiful squares in the world, it has been listed as UNESCO World Heritage List since 1998. No need for public transport, Brussels city centre is accessible on foot. Here, you will find all the shops to satisfy your needs, and everything you will need to perfect your trip: bars, restaurants, as well as gift and speciality shops. If you go for a stroll to explore, wander through the streets from the Grand-Place to the Parc de Bruxelles, see the Royal Palace and the iconic statue Manneken Pis and his little sister not too far away, Jeanneke Pis. Finally, art-minded visitors will be spoilt for choice between the Centre for Fine Arts Brussels, the Egmont Palace, the Halle Gate, the Magritte museum, the Musical Instrument Museum, or the Belgian Comic Strip Center. Also located in the centre, the small district of Saint-Géry is a favorite haunt for young people and night owls. Welcome to the heart of Brussels’ cultural life, where you can get a taste of brown, blonde, amber beer – Belgium’s iconic beverage available in all colours – while enjoying small multi-style concerts. 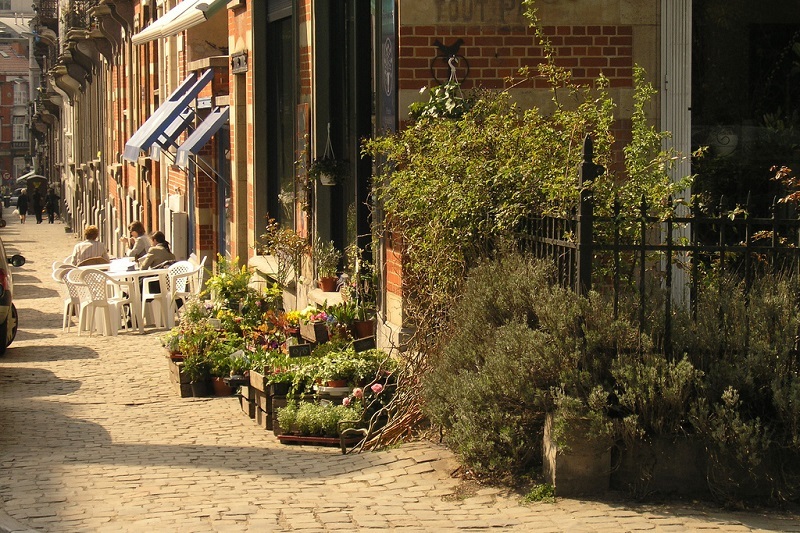 Once deserted, the area has transformed in recent years, and is now one of the most popular places in the city, especially in summer when Belgians and visitors come to drink on the terraces and enjoy Saint-Géry’s friendly and “laid back” atmosphere. A great place to stay in Brussels! Away from the hustle and bustle of the hyper-centre of this European megalopolis, Les Marolles is your opportunity to discover life in Brussels in its purest form. If you are looking to visit Brussels via an all-inclusive trip, which may involve parading down the streets in open-topped buses (for example), this neighbourhood is not for you. 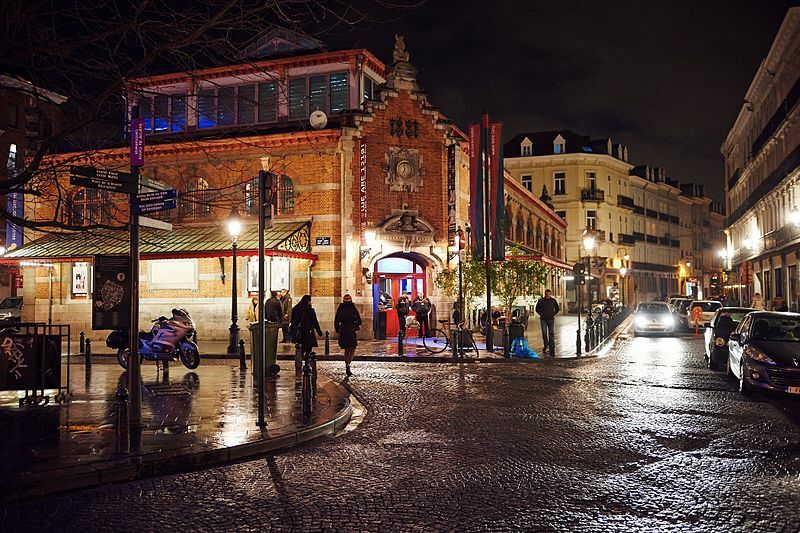 Les Marolles represents the cosmopolitan side of Brussels: this residential area is home to French and Flemish people as well as Spanish, Maghrebian, Turkish, and Syrian communities. A culturally diverse area, and a great place to wander around for a few days. 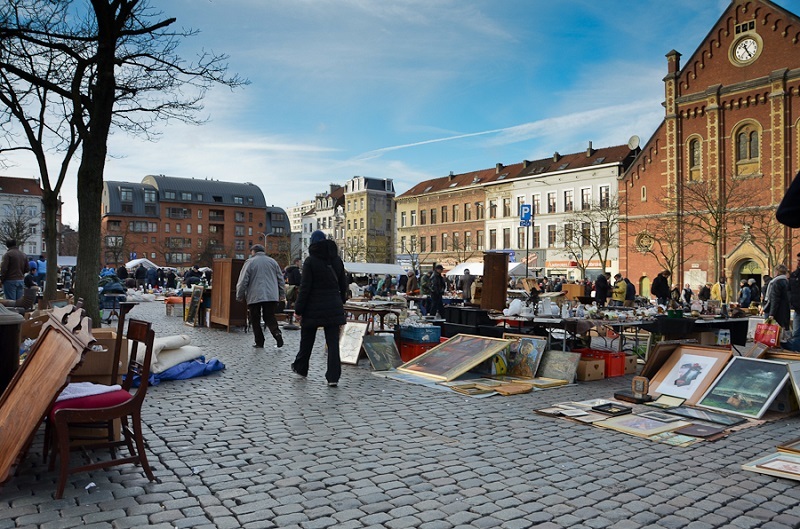 At the Place du Jeu de Balle, don’t miss the Old Market, where you’ll find a myriad of items, from vintage clothing to antiques, and anything else that makes you happy. As in many suburban areas at the periphery of city centres, the area has gradually gentrified: middle class hipsters have settled in, and old working-class housing has been replaced with trendy bars, restaurants, art galleries, or art deco shops. The neighbourhood exudes a relaxed atmosphere, but this also means accomodation prices can be quite high. Many travellers visit this area to discover its traditional medieval architecture and Gothic buildings. But there’s more: the neighbourhood is also known for its chocolate shops selling locally crafted delicacies. Plus, if you love churches, you will not be disappointed: Notre-Dame du Sablon church is one of the largest in the country. You can also admire the Petit Sablon Square and its superb architecture, and the Place du Grand Sablon, where you will enjoy the calm ambiance of a small neighbourhood. A relaxing place to stay in Brussels. Now an important political centre home to many European institutions, the neighbourhood was not always like this. The district forms a triangle situated between Brussels Park, Cinquantenaire Park and Leopold Park: in Brussels, they call it the “rue de la Loi” (Law Street). This is an opportunity for « Europhiles » to photograph the imposing European Parliament, on the edge of Leopold Park. This area is historically residential, so it is a rather quiet area to stay in. Run, Europhobe, if you feel like you’re “in the lion’s den”. The European district is worth a visit, but don’t drag it out either.